FST’s Board of Directors is comprised of up to 12 members who serve voluntarily, generally for two three-year terms. Directors are Canadian citizens, permanent residents or landed immigrants in Canada. The Board may appoint two ex-officio members to one-year terms. Meet its responsibilities under the Ontario Corporations Act and other legislation that governs Family Service Toronto. Provide strategic guidance to the organization, ensuring that the vision, mission, values and strategic plans are current and respond to the needs of clients and staff. Ensure accountability for resources and results. Provide oversight of enterprise-wide risk management. Support the Executive Director and review their performance regularly. Officers of the Board include the president, vice-presidents, secretary and treasurer. Standing committees include Financial Affairs and Governance. The Board may establish working groups to provide support for its work or advice on specific issues. All Board activities are governed by FST by-laws and governance policies. FST is accredited by the Council on Accreditation which requires a rigorous assessment of governance processes and procedures against best practices. Directors are recruited through the board’s Governance Committee and election of new Board members is conducted during the Annual General Meeting (typically held in June). Terrie is an instructor at Ryerson University with the Health Information Management and Health Services Management programs. Terrie has served in senior positions that have included: CIO, Executive Director E-Health and Chief Privacy Officer at Baycrest; Director, Decision Support at Royal Victoria Hospital in Barrie; Director, Decision Support and Patient Information Services at CAMH Toronto; Director, Finance and Information Systems, Riverside Health Care Facilities in Fort Frances. Terrie’s volunteer activities include work with the Weston Area Emergency Services Food Bank, LAMP Community Heath Centre and the Daily Bread Food Bank. Terrie was elected to the board in 2016. Danny volunteered on the boards of Christie Ossington Neighbourhood Centre, Ontario College of Teachers and Bereaved Families of Ontario. Ian is the Managing Director of Wintrip Consulting Inc., a forensic accounting firm specializing in the determination of value, primarily when value is in dispute. He assists clients in assessing the value of businesses, intellectual property assets and losses as a result of the actions of others. Ian has testified as an expert witness on questions of value before the Ontario courts and in international arbitration proceedings. 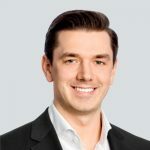 Ian is a Chartered Professional Accountant (CPA, CA), a Chartered Business Valuator and holds a Diploma in Investigative and Forensic Accounting from the University of Toronto. Ian attended the School of Business and Economics at Wilfrid Laurier University and obtained his Bachelors of Business Administration with Honours. He has also volunteered with the Toronto Humane Society. Margaret is the Executive Director of Family Service Toronto (FST), a 100 year old city-wide, multi-service, community social service organization. 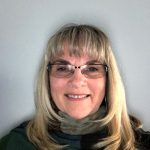 Margaret guides the organization’s direct service, knowledge building and exchanging and system level work, focusing on people who are marginalized, living in poverty, affected by violence and abuse, with mental health issues and developmental disabilities. In addition, Margaret leads FST’s social enterprise work, investments in real estate and property development. Prior to FST, Margaret was the Warden of Hart House at the University of Toronto, the Executive Director of Choice in Health Reproductive Health Clinic and the Education Program Co-ordinator for OXFAM Canada. A social justice advocate for more than 30 years, Margaret is a dedicated volunteer, currently serving as the Chair of Oxfam Canada’s Board of Directors and as the deputy Chair of the Board of Supervisors of Oxfam International. 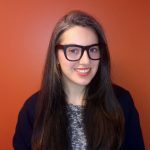 Amanda is a Marketing and Research Professional at Unilever, where she manages Shopper & eCommerce Insights across Canada. Before joining Unilever, Amanda worked at Publicis Health as a Brand and Research Strategist, advising Pharma companies across the globe on methods for improving patient care. In addition to her board role with Family Service Toronto, Amanda also commits herself to a number of causes that mirror her passions. 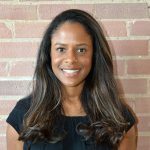 She currently supports Dr. Isaac Odame at Sick Kids Hospital for the Global Sickle Disease Network and was previously a Board Member at JobStart, a Strategic Advisor for the City of Toronto: Gender Based Youth Violence Initiative, and Endeavour Consulting as a Consultant and Advisor on their Recruitment & Retention Committee. Amanda holds a Bachelor of Science degree in Economics and Psychology from the University of Toronto. Mahmoud is a Managing Director in the Internal Audit group of Royal Bank of Canada. Before joining RBC, Mahmoud spent 10 years in external audit and risk consulting with Deloitte & Touche in Canada, the United States and United Arab Emirates. 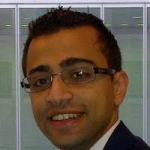 Mahmoud holds a Bachelor degree in Accounting and has CPA, CFA and CRMA designations. Mahmoud dedicates a significant amount of time to volunteer in charitable and non-profitable organizations. Mahmoud also enjoys playing soccer and cycling in his spare time. Anna has worked in community services since she was 19 years old. She has spent time in a variety of shelters, drop-ins, youth centres and transitional housing. She currently works in eviction prevention, helping people in Toronto maintain their housing. Anna is pursuing her MA in Sociology at York University. She is researching how hip hop builds resiliency in marginalized youth. Anna’s previous board experience includes sitting as Vice-Chair for both the Squamish Public Art Board and the Squamish Public Library in British Columbia. 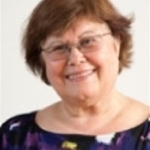 Almerinda is retired and former Executive Director at Four Villages Community Health Centre and past executive director of Parkdale Community Heath Centre. Almerinda’s areas of expertise include organizational development and effectiveness, change management and board development. She volunteered on boards of St. Joseph’s Health Centre, St. Stephen’s Community House and Doctor’s Hospital. Almerinda has a Masters in Health Sciences-Health Administration. Tom is the Co-Founder of Callosum Marketing Inc, a marketing research agency that specializes in the collection and analysis of consumer-related data for helping clients improve their brands and marketing initiatives. 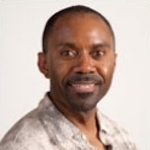 Tom is also a professor of Marketing Research Fundamentals at Centennial College, and serves as treasurer and secretary on the Board of Directors for the Toronto Chapter of the Marketing Research and Intelligence Association. Outside of his industry involvement, Tom is an active member and volunteer at St. Andrew’s Church in downtown Toronto. 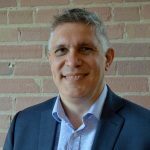 Andrew is Chief of Government Relations at the University of Toronto, and has over 20 years of progressive experience in corporate and public sector leadership. As an elected Member of the Legislative Assembly of Saskatchewan, Andrew served in several senior Cabinet portfolios, including Minister of Finance, Learning (including higher education), Public Safety, and Energy. He also served as Chair of the Treasury Board, and Vice-Chair of the Crown Investment Corporation, the holding company for publicly-owned telecommunications, electrical, and energy utilities. 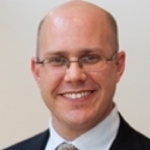 After leaving government in 2007, Andrew moved to Toronto and joined Cisco Systems, where he led policy advocacy for its Global Education Group. This work focused on helping government agencies address the changing technology and business drivers that affect education policy globally. 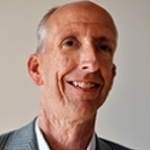 Andrew was subsequently appointed Director of International Business Development for the Asia-Pacific, Japan, and China Region and Chief of Staff to the enterprise sales segment based in Sydney and then Singapore. In these roles he led go-to-market strategy and government engagement initiatives across the region. Andrew holds a Bachelor of Arts degree from the University of Saskatchewan. 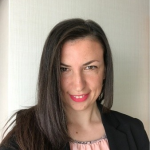 Aida Sijamic Wahid is an Assistant Professor of Accounting and Management at the University of Toronto, where she teaches management control and advanced auditing courses. Her research agenda is focused on understanding how and under what conditions various monitoring mechanisms, alone or combined, alleviate the agency problem and lead to the best financial reporting and business outcomes. Prior to joining academia, Aida worked at the Boston office of PwC (PricewaterhouseCoopers) in the assurance practice. Aida holds Bachelor’s and Master’s degrees in Economics from Brandeis University, as well as a Doctorate in Business Administration from Harvard Business School and an active CPA license (Massachusetts, USA). Andrea Westbrook is a clinical social worker and mental health counsellor with a strong understanding of the social and systemic barriers facing low-income and marginalized communities through her work in downtown East Toronto. 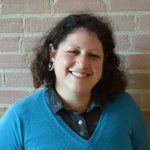 Andrea has been involved in a range of research initiatives, advisory committees and focus groups around harm reduction, HIV/AIDS, the judicial system, mental wellness, psychiatric care and the social determinants of health. She is keenly engaged in community organizing and advocacy and currently serves as Board President of The Teresa Group. 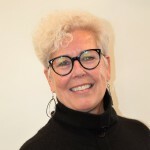 Andrea actively consults and supports community-based healthcare and service providers and mentors social workers through the Factor-Inwentash Faculty of Social Work at University of Toronto. 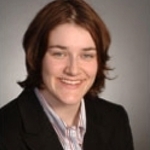 Erin is an associate lawyer in the Toronto office of Blake, Cassels & Graydon LLP. Her practice is primarily focused on complex commercial litigation and arbitration. She also has experience with media and constitutional litigation, as well as white collar criminal and administrative proceedings. Erin volunteers with Pro Bono Law Ontario’s Duty Counsel Project and has worked on pro bono projects for not-for-profit media and media law organizations. Erin was elected to the board in 2013.